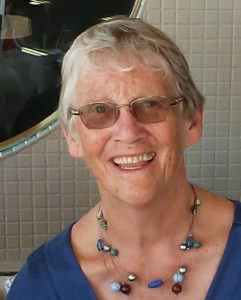 Susan M Kenyon, (ASA Secretary) gained her BA in History from London University (1965), and PhD from Bryn Mawr College (1977). She is Professor Emerita of Anthropology from Butler University in Indianapolis, where I taught from 1995-2008. I also taught at University of Delaware (1975-7), Indiana University (1990-91), and Valparaiso University (IN, 1991-95). Doctoral research was conducted on the Northwest Coast and subsequent fieldwork has been predominantly in Sudan, with shorter research spells in Indonesia, Costa Rica and St Kitts. Main interests are Religion, Gender, Muslim societies, Sudan, Africa, Northwest Coast, Caribbean. Significant Publications: Spirits and Slaves in Central Sudan: the Red Wind of Sennar, Palgrave MacMillan 2012; Five Women of Sennar: Culture and Change in Central Sudan, Waveland Press (2nd edition) 2004, Oxford University Press 1991; The Sudanese Woman (ed), Ithaca Press and University of Khartoum 1987; The Kyuquot Way: A Study of a West Coast (Nootkan) Community, Mercury Press 1981.